Situated just 100 metres from the centre of Murter, on Murter Island, Apartments Leonarda is just 50 metres from the closest pebbly beach. It presents self-catering, air-cooled apartments with an outdoors terrace or balcony. 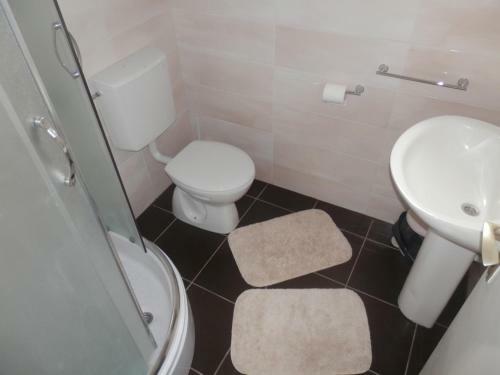 All apartments feature a well-equipped kitchenette and a private toilet with a shower. Satellite television is available, as well as a coffee machine. The acclaimed sandy Slanica Beach can be reached in 6 km, while the city of Tisno is 10 kilometers away. Boats to National Park Kornati can be found in the marina, 80 metres away. There is a grocery shop just 40 metres from the apartments, while eating places and clubs can be found just 50 metres away. The town of Sibenik is 35 km away, while Zadar can be reached in 65 km. Zadar Flight terminal is 60 km from the property. Apartments Leonarda ~0.1 km, Betina Situated just 100 metres from the centre of Murter, on Murter Island, Apartments Leonarda is just 50 metres from the closest pebbly beach. It presents self-catering, air-cooled apartments with an outdoors terrace or balcony. All apartments feature a well-equipped kitchenette and a private toilet with a shower. Satellite television is available, as well as a coffee machine. The acclaimed sandy Slanica Beach can be reached in 6 km, while the city of Tisno is 10 kilometers away. 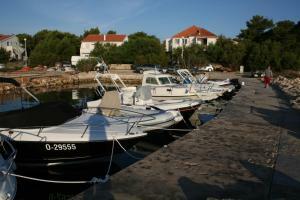 Boats to Kornati National Park can be found in the marina, 80 metres away. There is a grocery shop just 40 metres from the apartments, while eating places and clubs can be found just 50 metres away. The town of Šibenik is 35 km away, while Zadar can be reached in 65 km. 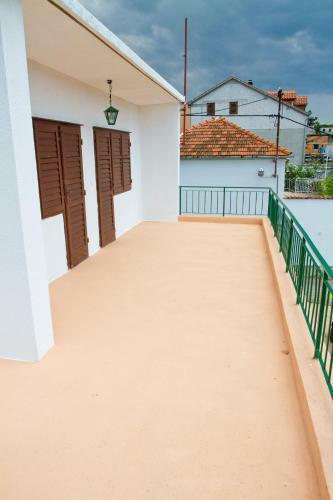 Apartment Zena ~0,2 km, Murter price per day from € 38 Providing a back yard and grill, Apartment Zena is set in Murter. Gratis wireless internet is available and free car parking is available on site. 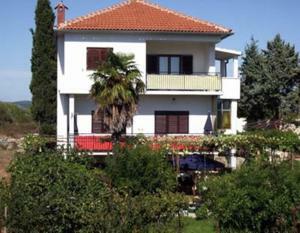 Šibenik is 26 km from Apartment Zena, while Vodice is 16 km from the property. The closest flight terminal is Split Airport, 65 km from the property. Murter ( ~ 1.7 km ): 54+ apartments. Beach Luke, Murter ~ 0,9 km from Apartments Leonarda Concrete beach: ideal for families, recommended for young people, with restaurant, with caffe bar, equipped with showers. Excellent choice of watersports. Beach Zdrace, Betina ~ 1 km from Apartments Leonarda Gravel beach: ideal for families, recommended for young people, equipped with showers. Excellent choice of watersports. Beach Slanica, island Murter ~ 1,6 km from Apartments Leonarda Sandy beach: ideal for families, recommended for young people, with restaurant, with caffe bar, equipped with showers. Excellent choice of watersports. Beach Podvrske, Murter ~ 1,7 km from Apartments Leonarda Sandy beach: ideal for families, recommended for young people, with caffe bar. Nudism is allowed. Beach Cigrada, Murter ~ 2,1 km from Apartments Leonarda Sandy beach: ideal for families, recommended for young people, with restaurant, with caffe bar. Excellent choice of watersports.